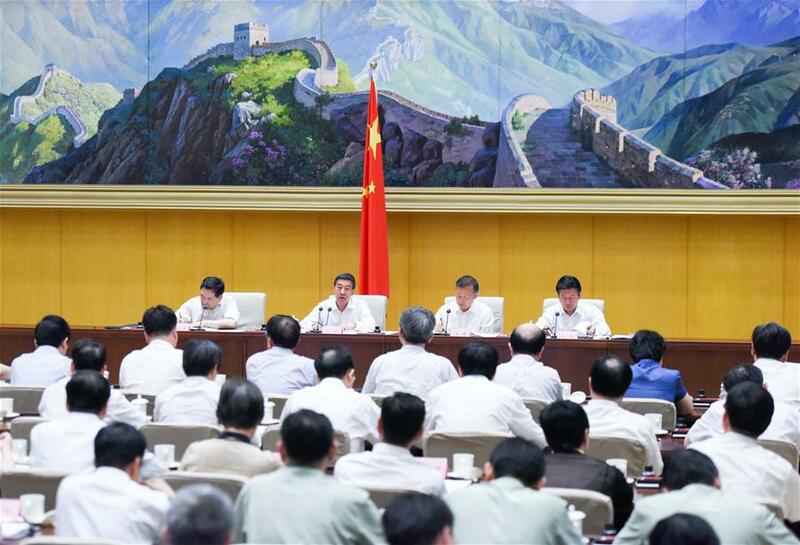 BEIJING, May 31 (Xinhua) -- Premier Li Keqiang on Thursday urged Communist Party of China leaders and government officials at local levels to enhance capabilities in preventing and controlling work safety risks. Li made the statement in a written instruction to a teleconference on implementing the system of accountability for work safety. Improving and strictly implementing the system of accountability is a key guarantee for ensuring work safety, Li said. He called upon all regions to put in place effective mechanisms which are able to enhance the infrastructure for work safety, timely check latent risks, and raise alarm bells. The premier also called for accelerating the efforts to establish and improve the system and mechanism for emergency management, and boosting the capabilities for work safety control, so as to prevent major and extraordinarily serious accidents. Speaking at the teleconference, State Councilor Wang Yong urged Party and government leaders at local levels to strictly implement the system of accountability for work safety, and speed up the establishment of a system of responsibility for work safety.